Necklaces, earrings, brooches, wall hangings, stained glass, window decorations, and cross-stitch designs… designer Jo Gatenby LOVES dragonflies. 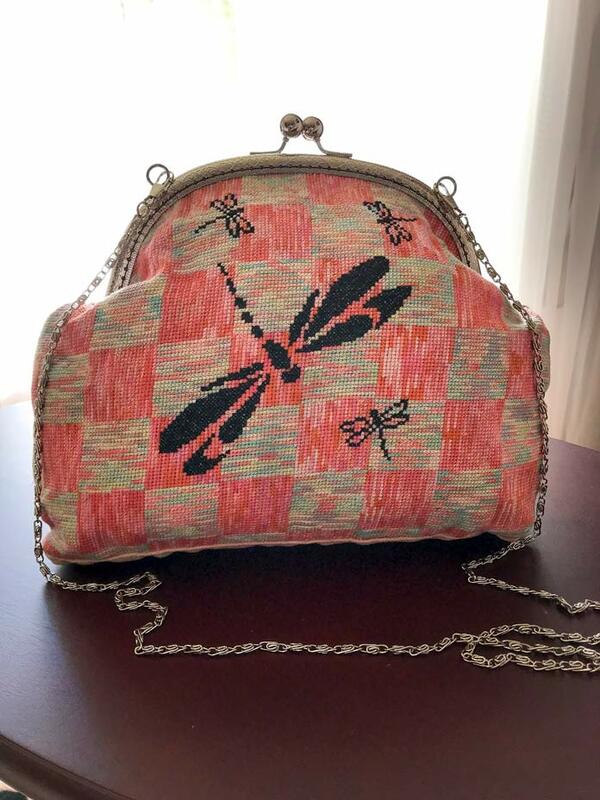 She is delighted to share this beautiful purse design with you. The idea of this design is that it can be enlarged to fit almost ANY purse! Follow the instructions to mark the purse outline on the fabric, then begin stitching from the center of the outline (and the center of the pattern) and keep repeating the pattern until you barely cross the seam allowance line – it’s that easy!